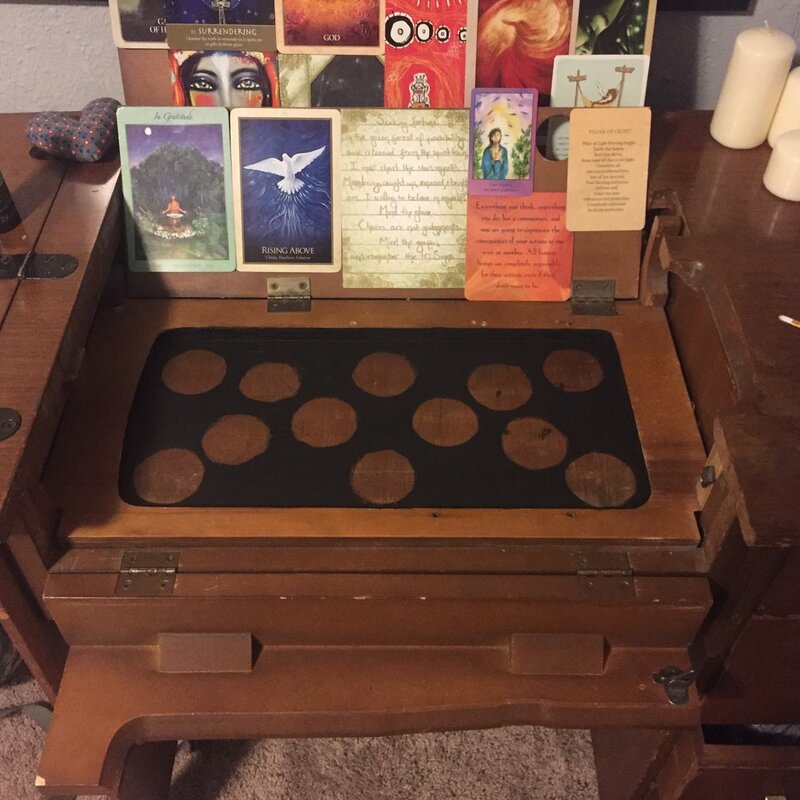 If I'm choosing to tap into spiritual energy when I create, why not strengthening that connection by dedicating the space I create in to the sacred? 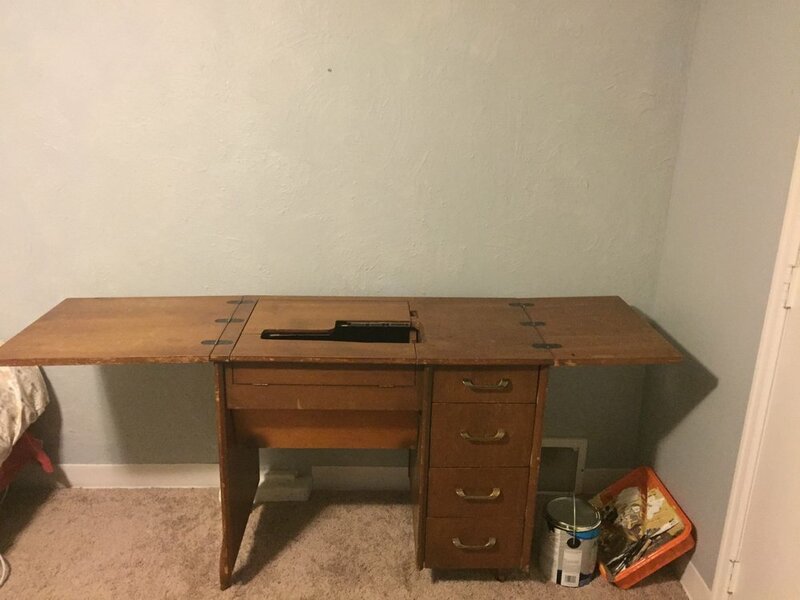 As such, my desk is my most meaningful possession. Why not make it a talisman, invoking a lifeline to spirit? 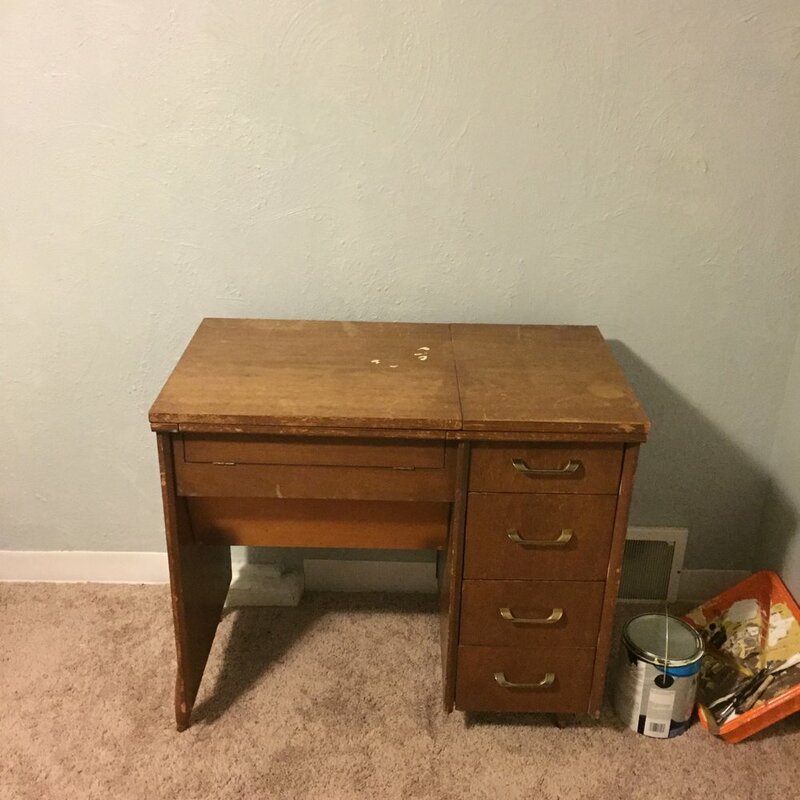 I bought this desk at a Habitat for Humanity Restore for $25. It folds out in nifty ways. It can hold my sewing machine. Its ancient. It fits in my prius. I'm in love with it. When my heart opened to the idea of it as an altar, a place where I come to give thanks, to offer up and invite, I felt the perfection of it. I saw myself for years to come, carrying it with me wherever I live; my own personal interface with the spirit. As a pretty transient individual for the past four years, seeing myself doing or keeping anything for longer than a year is a big deal. The pull to weave this tool more deeply into my spiritual-creative practice was strong. I had to make it so. I wanted to make an altar that would allow for flexibility of use. Whether to call in the directions, work with a duality, the seasons, the zodiac, single dedications, or the new and full moon, it needed to be accomodating. I wanted enough openness that it could be used in a variety of ways, but still feel like an item would have an intentional location during ritual once its placement was named. I came up with a design that I felt held this balance of open and specific. I was sensitive to the call to create sacred space while I was making this object of power for myself. 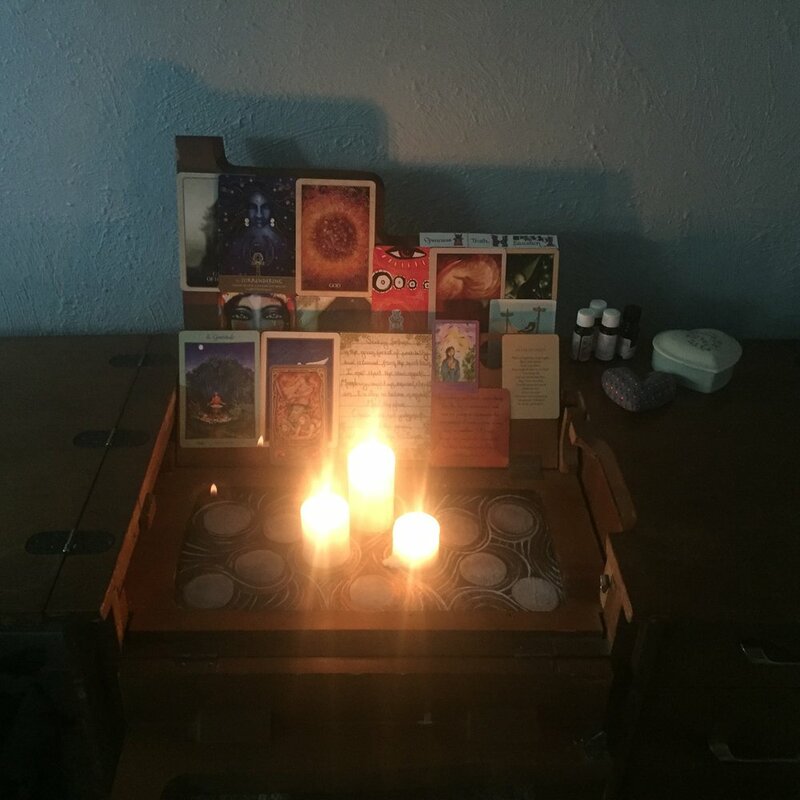 Whether that meant lighting a candle, listening to certain music, speaking affirmations, or asking for guidance, I endeavored to invite this this energy in during each step of creation. I completed the design with words that are powerful to me in my own symbol alphabet. Once the design was done, I procrastinated for a few days. I was scared to pour in the resin coating that I had planned to seal it with. I had never done it before, and an altar seemed like the least appropriate place for a guinea pig project. In the end I lit candles. I called upon energies to help me seal in the significance of this space and the power I could access there. I gave this last step up to trust that it would work. 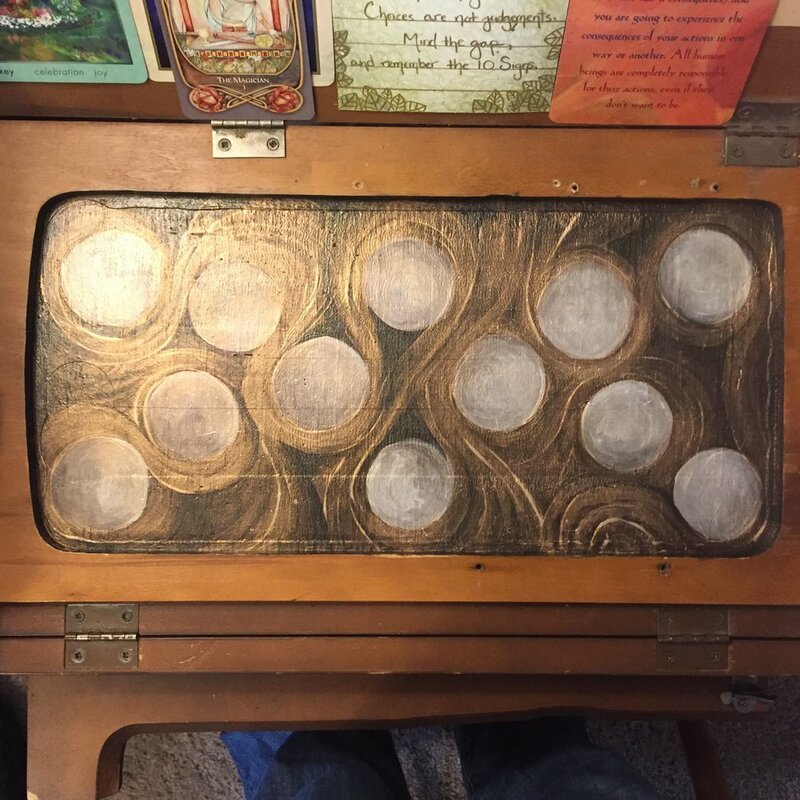 I would trust that I would mix the resin right, that I would catch all the bubbles, that it would settle evenly without sticky spots, and that the energy I intended for this space would find home there. Then I gave thanks, covered the resin to protect it from dust, and let it harden for 72 hours. The resin dried beautifully. I love its reflective quality. I'm feeling grateful and excited to formally awaken my finished altar for the first time on tomorrow's full moon.